Kurt Angle and Brawn Straman teamed up against common enemies Baron Corbin and Drew McIntyre. Though this wasntw the intentions of Angle, when he first visited the ring. The Olympic Hero might have wanted to call quit his very decorated WWE Career but his recent tormentors Baron Corbin and Drew McIntyre saw it as a good moment to humiliate the Future Hall Of Famer. Thanks to Brawn Strawman, that didn't happen. Corbin and McIntyre teamed up against Strawman and Angle in the main-event of RAW later in the night and Angle gave out one of his best performances, which was made possible by the constant intervention of Strawman, when things seemed to be going south and that also cost them the win. Strowman bailed Angle out when necessary and was there to softened their foes up for the final sprint, dropping Corbin and McIntyre with a double suplex before tagging in the Olympian. 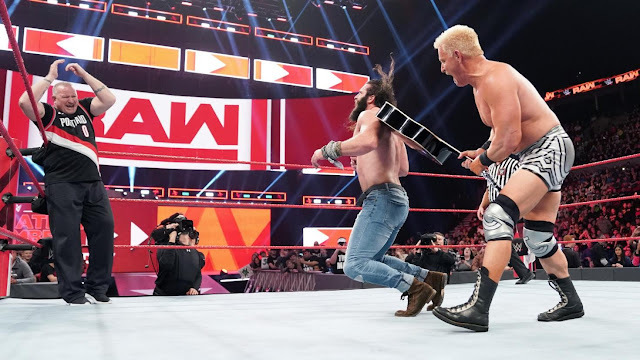 Unfortunately, their opponents executed their game plan to near-perfection by mounting a match-long effort to bait Strowman into disqualifying himself. It actually bore fruit when Strawman hauled off and slugged Corbin while Angle was the legal man. Despite suffering a Claymore that knocked him into the audience, Strowman came through one more time to save Angle from being slammed onto the steel steps by The Scottish Terminator and The Lone Wolf. Arriving with seconds to spare, The Monster Among Men planted McIntyre and Corbin on top of the steps one after the other and raised the Olympian’s hand. The Intercontinental Champion Bobby Lashley was slated to face Finn Balor in tonight's Monday night RAW but thanks to Lashley's mind games, Balor settled for a fight against his hype Man Lio Rush with Implications of a crack at lashlLash title, if he entertained Lashley by convincingly defeating "The Man Of the Hour". Lio Rush in the fight, put up a good fight but failed as Lashley’s attempts to humiliate Bálor got the better of him. Balor evaded Lio’s Final Hour frog splash, drilled his opponent with a dropkick, added a Coup de Grâce to conclude a thoroughly entertaining match. Whether it was entertaining enough for Lashley to grant him a chance at the title we don't know. The Women's Royal Rumble winner Becky Lynch had hoped her invitation to RAW was an opportunity to atleast have a word or two with RAW fans concerning her Wrestlemania Fight with RAW Women's Champion Ronda Rousey. Instead was given an indefinite suspension by Stephenie McMahon till she undergoes a knee surgery and gets cleared by the WWE Staff. This potentially endangering what may well be the most anticipated match of WrestleMania 35. 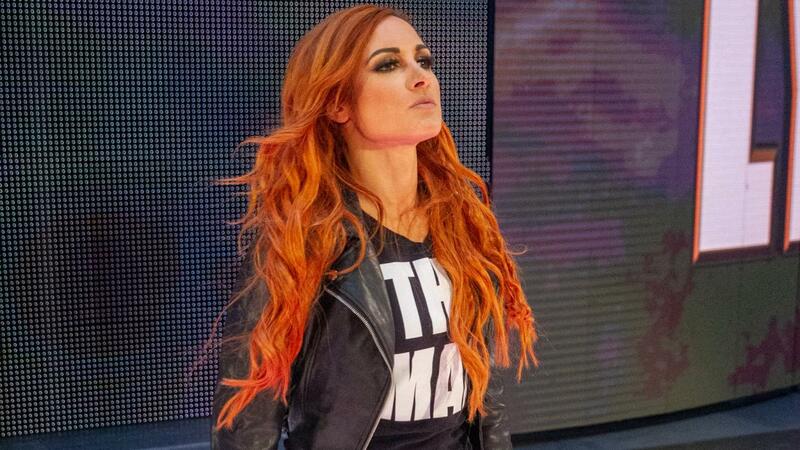 This didn't just crush "The Man" for no reason, She had pulled the Hatch, when she decided to go on a heated confrontation with the former commissioner, who insisted she gets a medical examination on her leg, she injured at the Royal Rumble. Becky Lynch attacked Stephenie McMahon but while doing so, tweaked her legs again, proving the former Commissioner right for wanting her to go on examination.. She couldntc even leave the ring on her own.